As a Postpartum Doula, my goal is to help ease the transitions after the birth of your baby during the 4th trimester. Navigating the 4th trimester can be difficult for some. I am there for you as a listening ear, as you voice your concerns and worries. If you book me before the birth of your baby, I will have a couple visits with you during your pregnancy. I will get to know you and your partner, and your hopes and dreams for your birth and postpartum. After the birth of your little one, I will come to your home and listen as you tell me about how your birth went. I will give you support as you breastfeed or bottle feed. We can discuss the ins and outs of your postpartum care and your newborns care. We can discuss things that can help ease your discomfort. I will look after your little one(s) while you rest or shower. I will do light house work like a load of laundry or filling the dishwasher, etc. I can also prep and/or cook you a delicious home cooked meal. My joy is bringing you support during your birth year! Click here to learn more! Whether it's helping you perfect your latch, bringing you snacks, creating a snack bag, or making a special box for your older children to use during feeding times, I will help you. Sometimes it can be difficult for older siblings or Dad to feel included when there is a new baby in the house. I will be there to help Dad find a way to be included and for children to have special time with Mom. Whether it's as simple as talking, or getting down to the dirty stuff, I am there to help you. Whether it's recommending a product, or referring you to see someone. I do not diagnose or do anything medically related. As a Photographer, I find joy in taking pictures and creating lasting memories for my clients, friends, and family to cherish always. 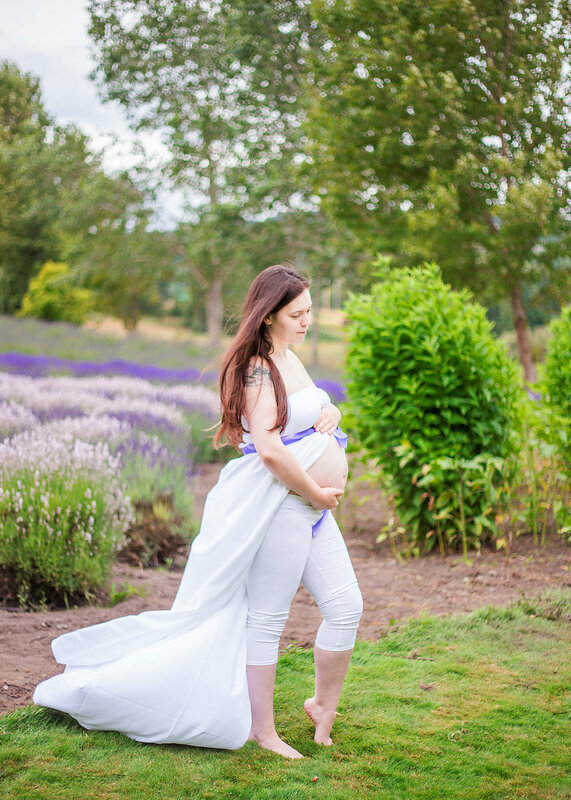 This is one reason why I couldn’t leave it behind, and so I integrated Shylynn Dewey Photography into Dewdrop Birth Services. I want to keep providing clients with beautiful images through the birth year. I offer Maternity Portraits, Fresh 48 sessions, and both posed and in-home lifestyle Newborn sessions. Head here to see more of my work! There are many benefits to Placenta Encapsulation. Some of these include increases in your breast milk production, helps to balance your hormones, replenishes your depleted iron levels, assists your uterus in returning to the pre-pregnancy state, reduces post-natal bleeding, and makes for a happier, and sometimes easier, 4th trimester. I can speak from personal experience, I had my Placenta Encapsulated when I had my son in January of 2018, and it helped me tremendously. Click here to learn more about Placenta Encapsulation! There are many benefits to the use of the Healing Herb Sitz baths. The high quality organic ingredients can help ease perineum and hemorrhoid pain during the healing period. They can help speed healing from tears or an episiotomy. The Healing Herb Sitz bath contains high quality Lavender, Plantain Leafs, Yarrow Flowers, Witch Hazel, Chamomile Flowers, Calendula, Sea Salt, and Epsom Salt. Click here to learn more about Healing Herb Sitz Bath! Knowledge is so important. I have multiple books about prenatal care, birth, postpartum care, and raising children. Head here to see what books you can borrow!